This is just a quick little update post! so I'm still playing catch up with my life at the moment, I'm sure by now you all know I've hurt a nerve in my hands and can barely really do anything at ease. As I'm typing this, almost every single nerve in my hands are tugging and pulling so I guess that's my poor excuse for not blogging. Anyways, I thought I would finally blog about this since it's been a while! I guess the fiasco with my hands has just put it off from my blogging schedule but I've decided its time! At the beginning of this year, I had the privilege of working with one of my favorite youtubers, Chriselle Lim! yep! you read it right! 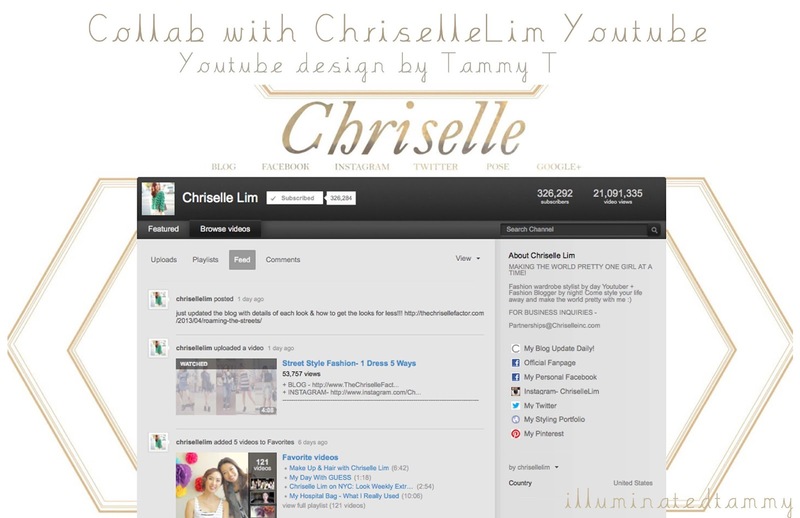 I designed the Chrisellelim youtube channel layout. new post coming up real soon!